The much publicised launch of The Block: All Stars on Monday night drew 960,000 TTL PPL throughout the metro markets. By no means poor ratings, but with this being the season premiere of possibly Nine’s second biggest franchise of recent times (behind 2012’s ratings phenomenon, The Voice), the fact that the show failed to crack the one million viewers mark means the first night’s ratings were less successful than hoped. However, unlike Excess Baggage, Nine’s disastrous but heavily promoted new offering at the beginning of 2012, these ratings will not be seen to spell the impending demise of The Block: All Stars. Perhaps the real stars of Monday night’s ratings showdown are those in the marketing department at Network Seven. With some clever editing (and frequent airing) of their My Kitchen Rules promo spots – in which NSW friends Jessie and Biswa were quickly turned into the channels resident villains – they were able to draw 2.2 million viewers across Australia’s capital cities (and an additional 1.03m throughout regional markets) into last Monday’s episode, with many viewers eager to see the girls get their just desserts. With their frequent reminders to tune in at “7 O’block”, Nine has long aimed to position The Block as the go-to choice in key programming on air throughout the week. However, one week into 2013’s series, this has not proven to be the case, with Seven’s indomitable MKR the number one program every weeknight against the key buying demos P25-54, P16-39 and GB+CHs. MKR is the clear front-runner in the ratings war, taking top spot every night. Meanwhile, The Block has been lingering towards the lower end of each night’s top 10 against the majority of demographics. This positioning is likely causing some worry at Nine HQ, where they’ve scheduled a second series to run later in the year. If viewer interest is low in Q1, they have to question if a second series is worthwhile. 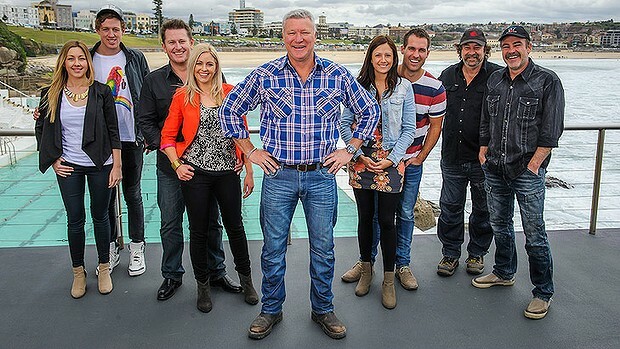 For now, it’s possible that The Block will pick up, especially when not airing opposite MKR. Yet it’s almost certain that this installment will not prove to be the ratings juggernaut Nine had hoped for. Year-on-year, the audiences have fallen significantly (down 37% TTL PPL) despite the return of ‘viewer favourites’ in the cast. Given the congestion in the market with MKR & MasterChef Professionals early in the year, the show will need to fight harder for its share of viewers. With the official ratings season now open, Nine will need to make a more concerted effort to attract and maintain viewer loyalty to their Q1 offerings. We predict The Block All Stars will be a moderately successful program, but will fail to provide the significant boost required for Nine’s plans of dominance this year. Claims of significant improvement this year, in which the 1st quarter programming driven by The Block All Stars was to lead the charge, has left the the industry in doubt and Nine’s programmers concerned. Based on the first week of the show’s ratings, it appears Nine will have their work cut out in achieving their guaranteed 5% audience increase this year.